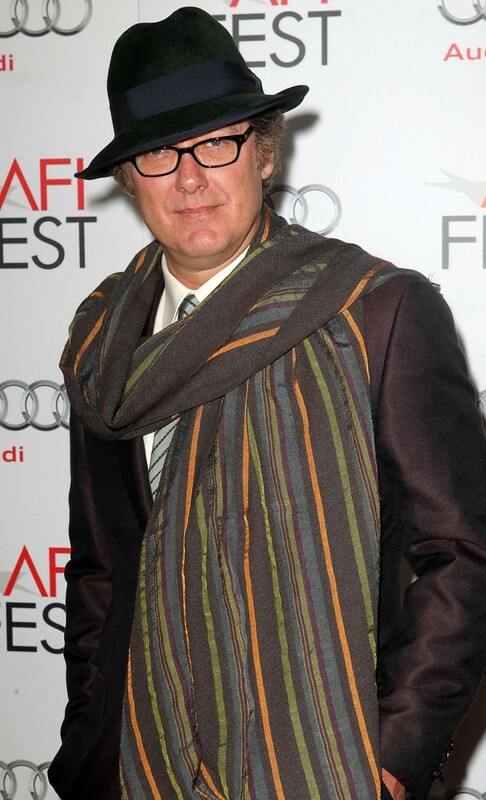 The casting of James Spader as the voice of the titular baddie in Avengers: Age of Ultron could also provide a nugget of plot detail: Perhaps Ultron is out to destroy humanity because he’s just so over people. Imagine Ultron, molded from adamantium, stalking around NYC, delivering withering put-downs and sarcastic comments that degrade and demean Earth’s Mightiest Heroes as he heaps shame and humiliation on them. Or, maybe Spader’s Ultron will be more like Mr. Grey, his character in 2002’s Secretary — and the indestructible robot will insist that Black Widow (Scarlett Johansson) spank him! I cannot vouch for the quality of the films, but these recently released posters either grabbed my attention (Filth) or promote movies that I’m looking forward to seeing (Thor: The Dark World). The two new entries on the Thor sweepstakes cannot top the previously released image. Sorry. Here’s a little treasure to help us celebrate the 50th anniversary of the greatest show in the galaxy: a clip from Paul McGann’s audition for the DOCTOR WHO TV Movie. He’s reading from a scene that never made it into the final script — and he is terrific! It’s no wonder he won the role. Imagine if this scene had made it onto our screens in 1996 — the Master would officially be the Doctor’s half-brother (instead of merely rumored) and we would know the name of the Doctor’s father. Reportedly, had the movie spawned a new series, the Doctor’s search for Ulysses would have been a main narrative thrust. Of course, now, see what is essentially “new” Eighth Doctor material makes me miss him all the more. Whatever the faults of the TV Movie, McGann’s performance was not one of them. He was a fantastic Doctor and deserved more time on our TV screens — and the DW Mythos is poorer without him. Is This a Photo of Three Doctors? 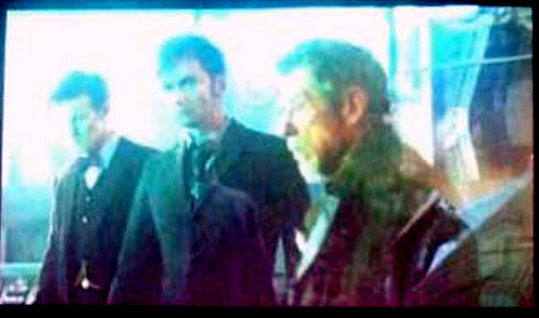 Can this be an authentic photo from the DOCTOR WHO 50th anniversary story depicting the 10th and 11th Doctors with the John Hurt Doctor? (Is John Hurt really and truly a proper Doctor?) This is purported to be a snapshot taken by a fan when a scene from the anniversary special was shown earlier this week at the MediaGuardian Edinburgh International Television Festival. Is this Matt Smith, David Tennant and Hurt all as the Doctor? The more material I see from the forthcoming Carrie remake, the more promising it looks — well, as “promising” as a “reimagining” can be. The best part of this clip is the use of a very creepy arrangement of the old Shirelles song “Will You Love Me Tomorrow.” Inspired. This trailer confirms that the new version will hit all the major beats of the 1976 movie, though not in precisely the same way. Starring Chloë Grace Moretz (who’s so talented she’s scary all by herself) and the always-wonderful Julianne Moore, Carrie opens Oct. 18.